Today, I’m so excited to take you guys to discover the secret of traditional Thai cooking. This cooking class is highly recommended. You’ll have a wonderful experience and learn to understand the secret of ingredient selection. Better yet, the school is conveniently located in the heart of Bangkok. 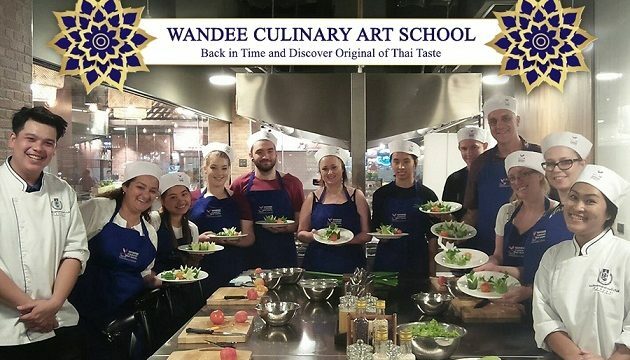 Professor Wandee Na-Songkhla, also known as “the great Thai cooking teacher”, has founded “Krua Wandee”, the Thai cooking school, 25 years ago. The school is the first to be accredited and approved by the Ministry of Education to offer complete Home Economics study in Thailand. Professor Wandee writes many famous cookbooks and creates the first “Thai food” movie in Thailand named “Prig-Kang (Curry Paste)”. 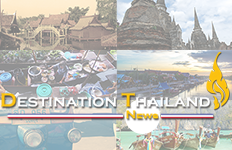 This cooking class is located at Show DC in Bangkok’s city center, Rama 9. After the cooking class, you can easily enjoy shopping from many outlets. 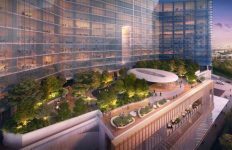 Show DC is situated near expressway and MRT station. 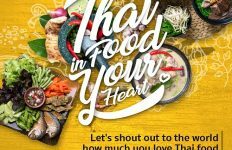 In one class, you can freely select 4 menus to learn (meat dishes and sweets) from a list of the most favorite Thai dishes such as Tom Yum Kung, Green Curry, Som Tum or Pad Thai. 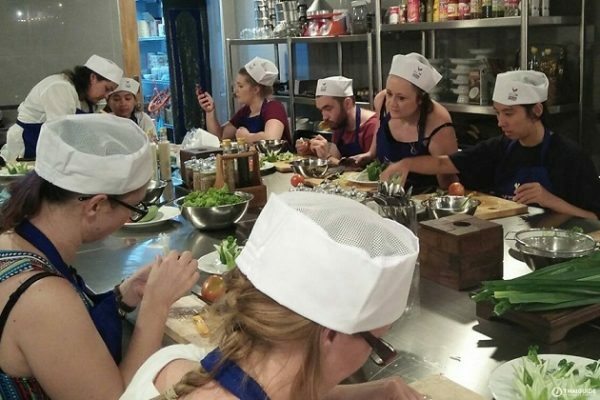 If you prefer to learn how to cook Thai traditional dishes, the class can also accommodate your need. The course will give you tips on how to create a “Samrub” (a set of a variety of dishes) including meat dishes and sweets by yourself. The techniques from the professor will be passed on to you with no holding back. You’ll learn from the real traditional food recipe that even Thais will be surprised. Besides cooking class, let’s have fun turning back time. If you book a cooking class with THAIGUIDE, we’ll prepare traditional Thai costume for you! Just learn, cook and pose with traditional Thai costumes. Let’s capture a great moment filled with beautiful memories from this cooking class.